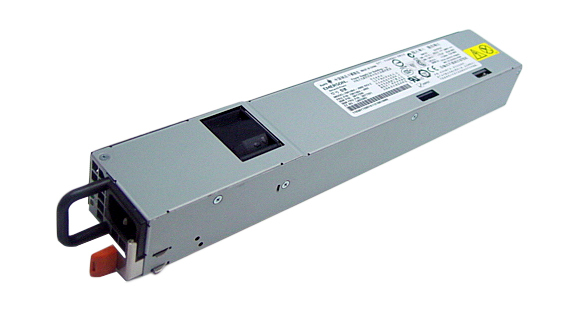 IBM - 74P4335 IBM - 950 WATT REDUNDANT POWER SUPPLY FOR ESERVER XSERIES X365 (74P4335). REFURBISHED. IN STOCK. SHIP SAME DAY. IBM - DPS-350MB IBM - 350 WATT HOT-SWAP POWER SUPPLY FOR XSERIES 225 345 (DPS-350MB). REFURBISHED. IN STOCK..SHIP SAME DAY. IBM - 49P2116 IBM - 350 WATT HOT-SWAP POWER SUPPLY FOR XSERIES X345 (49P2116). REFURBISHED. IN STOCK.SHIP SAME DAY. IBM - 13M7415 IBM - 775 WATT REDUNDANT POWER SUPPLY XSERIES X260/3800 (13M7415). NEW. IN STOCK.SHIP SAME DAY. IBM - AA22600 IBM - 425 WATT POWER SUPPLY FOR XSERIES X225 (AA22600). REFURBISHED. IN STOCK.SHIP SAME DAY. IBM - 74P4349 IBM - 411 WATT POWER SUPPLY FOR E SERVER XSERIES 325 326 335 (74P4349). REFURBISHED. IN STOCK.SHIP SAME DAY. IBM - 59P4057 IBM - 350 WATT REDUNDANT POWER SUPPLY FOR XSERIES X225 X345 (59P4057). REFURBISHED. IN STOCK.SHIP SAME DAY. IBM - 24R2639 IBM - 585 WATT HOT-PLUG POWER SUPPLY FOR XSERIES X336 (24R2639). NEW. IN STOCK. SHIP SAME DAY. IBM - 24R2640 IBM - 585 WATT HOT-PLUG POWER SUPPLY FOR XSERIES (24R2640). REFURBISHED. IN STOCK. SHIP SAME DAY. IBM - 49P2089 IBM - 332 WATT POWER SUPPLY FOR XSERIES 335 (49P2089). REFURBISHED. IN STOCK. SHIP SAME DAY. IBM - 13M7413 IBM - 1300 WATT HOT-SWAP POWER SUPPLY FOR XSERIES X366 (13M7413). NEW. IN STOCK.SHIP SAME DAY. IBM - 24P6898 IBM - 340 WATT POWER SUPPLY FOR XSERIES (24P6898). REFURBISHED. IN STOCK. SHIP SAME DAY. IBM - 74P4965 IBM - 514 WATT REDUNDANT POWER SUPPLY FOR XSERIES X345 (74P4965).NEW FACTORY SEALED . IN STOCK.SHIP SAME DAY. 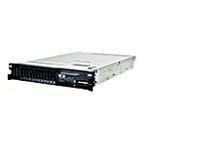 IBM - 24R2715 IBM - 1300 WATT REDUNDANT POWER SUPPLY FOR ESERVER XSERIES X366 X460 (24R2715). NEW. IN STOCK.SHIP SAME DAY. IBM - 49P2178 IBM - 660 WATT REDUNDANT POWER SUPPLY FOR XSERIES X235 (49P2178). REFURBISHED. IN STOCK.SHIP SAME DAY. IBM - 7000756-0000 IBM - 660 WATT REDUNDANT POWER SUPPLY FOR XSERIES X235 (7000756-0000). REFURBISHED. IN STOCK.SHIP SAME DAY. IBM - 24R2722 IBM - 1300 WATT HOT-SWAP POWER SUPPLY FOR XSERIES X3850 X3950 XSERIES 366 (24R2722). NEW. IN STOCK.SHIP SAME DAY. IBM - 74P4432 IBM - 340 WATT POWER SUPPLY FOR XSERIES (74P4432). REFURBISHED.IN STOCK. SHIP SAME DAY . IBM - 74P4433 IBM - 340 WATT POWER SUPPLY FOR XSERIES X206/X205 (74P4433. REFURBISHED. IN STOCK. SHIP SAME DAY. IBM - API9761 IBM - 340 WATT POWER SUPPLY FOR XSERIES X220 (API-9761). REFURBISHED. IN STOCK.SHIP SAME DAY. IBM - 49P2040 IBM - 340 WATT POWER SUPPLY FOR XSERIES (49P2040). REFURBISHED. IN STOCK. SHIP SAME DAY. IBM - 24R2730 IBM - 835 WATT HOT-SWAP POWER SUPPLY XSERIES 3650 (24R2730). REFURBISHED. IN STOCK. SHIP SAME DAY. 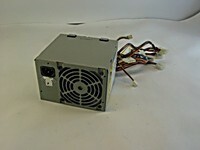 IBM - 49P2167 IBM - 514 WATT HOT-SWAP POWER SUPPLY FOR XSERIES 220/225/226/300/345 (49P2167) .REFURBISHED. IN STOCK. SHIP SAME DAY. IBM - 24P6895 IBM - 340 WATT POWER SUPPLY FOR XSERIES 200/205 (24P6895). REFURBISHED .IN STOCK.SHIP SAME DAY. 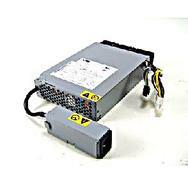 IBM - 7000758-0000 IBM - 514 WATT HOT-SWAP POWER SUPPLY FOR XSERIES X345 (7000758-0000). REFURBISHED. IN STOCK.SHIP SAME DAY. IBM - 01R1195 IBM - 200 WATT POWER SUPPLY FOR XSERIES X305 (01R1195). REFURBISHED.IN STOCK.SHIP SAME DAY. IBM - 25R2559 IBM - 585 WATT HOT-PLUG POWER SUPPLY FOR XSERIES X336 (25R2559). NEW. IN STOCK. SHIP SAME DAY. IBM - 41Y5002 IBM - 775 WATT POWER SUPPLY FOR XSERIES X3800 (41Y5002). NEW. IN STOCK.SHIP SAME DAY. IBM - 32R2815 IBM - 670 WATT REDUNDANT POWER SUPPLY FOR XSERIES 3550 (32R2815). NEW . IN STOCK. SHIP SAME DAY. IBM - HP-U340HF3 IBM - 340 WATT POWER SUPPLY FOR XSERIES (HP-U340HF3).REFURBISHED. IN STOCK. SHIP SAME DAY. IBM - 49P2011 IBM - 340 WATT POWER SUPPLY FOR XSERIES (49P2011). REFURBISHED. IN STOCK. SHIP SAME DAY. IBM - 24R2731 IBM - 835 WATT HOT-SWAP POWER SUPPLY XSERIES (24R2731). REFURBISHED. IN STOCK. SHIP SAME DAY. IBM - AA23260 IBM - 625 WATT HOT-SWAP POWER SUPPLY WITH SIX FANS FOR XSERIES 346(AA23260). REFURBISHED. IN STOCK. SHIP SAME DAY. IBM - 40K1906 IBM - 835 WATT HOT SWAP POWER SUPPLY XSERIES 3650 (40K1906). REFURBISHED. IN STOCK.SHIP SAME DAY. IBM - 32R2810 IBM - 670 WATT REDUNDANT POWER SUPPLY FOR XSERIES 3550 (32R2810). NEW . IN STOCK. SHIP SAME DAY. 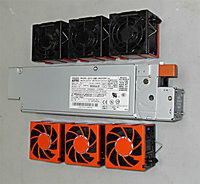 IBM - 74P4411 IBM - 625 WATT REDUNDANT POWER SUPPLY WITH SIX FANS FOR XSERIES (74P4411). REFURBISHED. IN STOCK. SHIP SAME DAY. IBM - 74P4410 IBM - 625 WATT REDUNDANT POWER SUPPLY WITH SIX FANS FOR XSERIES (74P4410). REFURBISHED. IN STOCK. SHIP SAME DAY. IBM - 24P6843 IBM - 200 WATT 48 VOLT POWER SUPPLY FOR XSERIES 330 (24P6843). REFURBISHED. IN STOCK.SHIP SAME DAY. IBM - 26K5097 IBM - 625 WATT REDUNDANT POWER SUPPLY WITH SIX FANS FOR XSERIES (26K5097). REFURBISHED. IN STOCK. SHIP SAME DAY. IBM - 39Y7334 IBM - 625 WATT HOT-SWAP POWER SUPPLY FOR XSERIES (39Y7334). REFURBISHED. IN STOCK. SHIP SAME DAY. IBM - 24P6850 IBM - 370 WATT POWER SUPPLY FOR ESERVER XSERIES X255 (24P6850) .REFURBISHED. IN STOCK.SHIP SAME DAY. IBM - 24R2707 IBM - 1300 WATT HOT SWAP POWER SUPPLY FOR ESERVER XSERIES 366 (24R2707). NEW. IN STOCK.SHIP SAME DAY. IBM - 39Y7385 IBM - 1300 WATT REDUNDANT POWER SUPPLY FOR XSERIES X3950 (39Y7385). NEW. IN STOCK.SHIP SAME DAY. IBM - 39Y7333 IBM - 625 WATT HOT-SWAP POWER SUPPLY WITH SIX FANS FOR XSERIES(39Y7333). REFURBISHED. IN STOCK. SHIP SAME DAY. IBM - 39Y7201 39Y7201 IBM 675 Watt Hot-Swap Power Supply For Xseries X3650m3 X3550m2. New Retail Factory Sealed With Full Manufacturer Warranty. IBM - 24R2673 IBM - 350 WATT POWER SUPPLY FOR XSERIES X306M (24R2673). REFURBISHED. IN STOCK.SHIP SAME DAY. IBM - 26K4106 IBM - 300 WATT POWER SUPPLY FOR XSERIES X306 (26K4106). REFURBISHED. IN STOCK. SHIP SAME DAY. 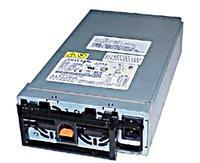 IBM - 32R2815 32R2815 IBM 670 Watt Hot Swap Redundant Power Supply for Xseries. New Bulk Pack. IBM - 24R2660 IBM - 530 WATT POWER SUPPLY FOR XSERIES 226(24R2660). REFURBISHED. IN STOCK. SHIP SAME DAY. IBM - 24R2730 24R2730 IBM 835 Watt Hot-Swap Power Supply Xseries. New Bulk Pack. IBM - 39Y7201 IBM - 675 WATT HOT-SWAP POWER SUPPLY FOR XSERIES (39Y7201). NEW FACTORY SEALED. IN STOCK. SHIP SAME DAY. IBM - 39Y8487 IBM - 835 WATT REDUNDANT POWER SUPPLY FOR XSERIES X3400/X3500 (39Y8487). REFURBISHED. IN STOCK.SHIP SAME DAY. IBM - 39Y7393 IBM - 670 WATT REDUNDANT POWER SUPPLY FOR XSERIES X3500M2 (39Y7393). REFURBISHED. IN STOCK.SHIP SAME DAY. IBM - 7000830-0002 7000830-0002 IBM 670 Watt Redundant Power Supply For Xseries X236. New Bulk Pack. IBM - 81Y6558 IBM - 465 WATT HOT-SWAP POWER SUPPLY XSERIES X3650 (81Y6558). NEW FACTORY SEALED. IN STOCK. SHIP SAME DAY. IBM - 74P4456 74P4456 IBM Watt Redundant Power Supply For Xseries X236. New Bulk Pack. IBM - 44X0381 44X0381 IBM 920 Watt Redundant Power Supply For Xseries X3400 3500. New Bulk Pack. IBM - 24R2561 IBM - 514 WATT HOT SWAP CAGE POWER SUPPLY CAGE FOR XSERIES 226 (24R2561). REFURBISHED. IN STOCK. SHIP SAME DAY. 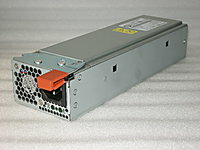 IBM - 39R6945 IBM - 670 WATT HOT SWAP REDUNDANT POWER SUPPLY FOR XSERIES (39R6945). REFURBISHED. IN STOCK. SHIP SAME DAY. IBM - 24R9258 IBM - 670 WATT HOT-SWAP POWER SUPPLY FOR XSERIES (24R9258). REFURBISHED.IN STOCK. SHIP SAME DAY. 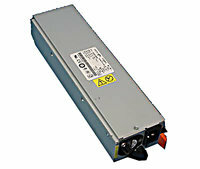 IBM - 74P4456 IBM - 670watt REDUNDANT POWER SUPPLY FOR XSERIES (74P4456). REFURBISHED. IN STOCK. SHIP SAME DAY.